Designed for warming up to 205 BF disposable spray foam kits, hoses, guns,and tools. Keep temperature sensitive materials safe from harsh winter weather and keep construction crews working all season long. 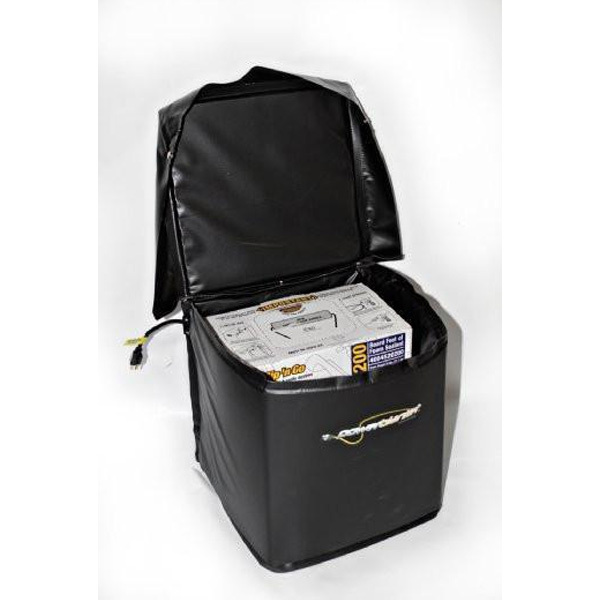 This warming box also doubles as a hot box for caulking, glues, paints, and other temperature sensitive materials.